Bottom line: As Firefox continues to lose users to Chromium-based browsers, Mozilla faces an arduous journey ahead to keep the project alive. A Microsoft developer is calling on Mozilla to admit defeat and join Google on the Chromium project. 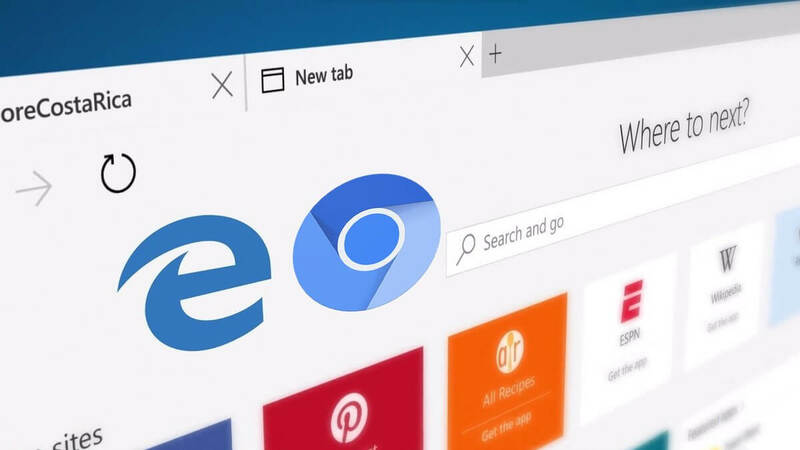 After it was discovered that Microsoft is replacing Edge with a Chromium-based web browser, many mixed opinions have surfaced. Some have rejoiced that Microsoft might finally have a browser that works as intended, while others have been pointing out that a monopoly on browser engines by Google might not be such a good thing. Mozilla came out with very strong words against Microsoft's decision, condemning the action. Firefox was at one point a very competitive browser, but other browsers making use of the Chromium backend have far superseded its market share. With now limited use, Firefox is a large project to support for a limited number of end users. Microsoft developer Kenneth Auchenberg has gone as far as saying that Mozilla should just give in and ditch Gecko Quantum in favor of Chromium. In a tweet posted by the Microsoft developer, he bashes Mozilla saying "if they really 'cared' about the web, they would be contributing instead of building a parallel universe that's used by less than five percent?" While there is good reason to want competition between browsers, maybe Auchenberg has the right idea. Mozilla itself even admits that the road ahead is going to be bumpy. Websites will have even less incentive to bother making changes just to ensure Firefox users do not encounter problems. Mozilla alludes to the fact that Internet Explorer was once the dominant browser in the early 2000s. This time around, it could be Google's Chromium engine that is the dominant and ubiquitous presence found on everybody's electronic devices. Competing against Google is unquestionably difficult, especially when all of the other major players in the market are supporting them. It may be possible for Mozilla to keep Firefox alive for quite some time, but life support only lasts so long when developers and community members start leaving for competing products.